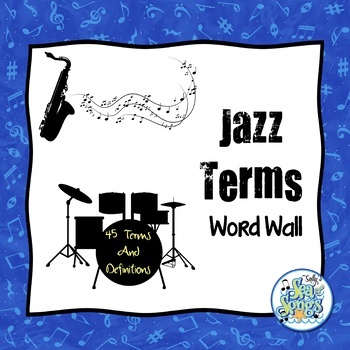 Jazzers have a language all of their own! 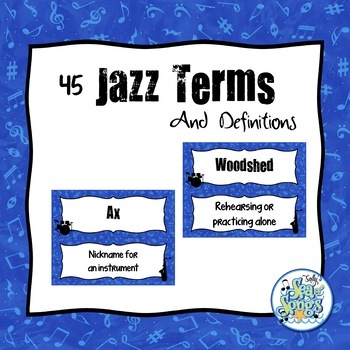 Whether you are deep into a serious study of jazz and jazz musicians, or just want to lend a little light hearted fun to your music class, these 45 jazz terms will help you! Each 11X8.5 sheet displays one term and the definition. 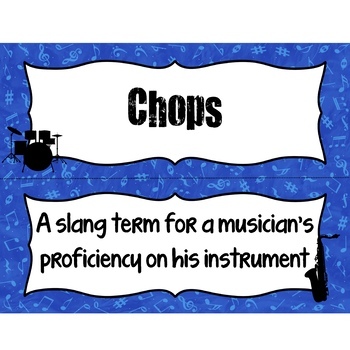 Post them on your walls as is, or cut the terms and definitions apart for an interactive board or music center.